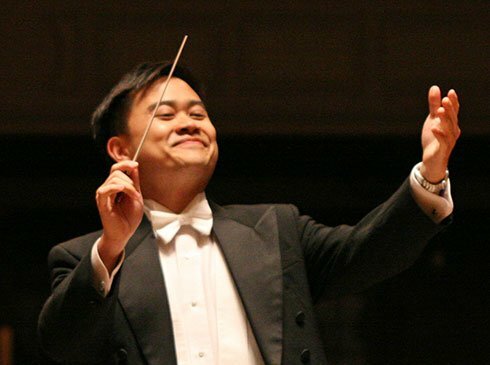 Over the 11 years that Channing Yu’s Mercury Orchestra has brought “amateur orchestra musicians together … to play challenging repertoire in … performances of the highest quality,” audiences have found the results of the deep, enthusiastic engagement of the volunteer ensemble consistently satisfying. The execution of the two dramatic works we heard in Saturday night’s outing at Sanders Theater reinforced our received impression that these people can really play. We levy virtually no complaints. Leonard Bernstein began his first symphonic jeremiad as a Lamentation for soprano and orchestra during the frightening year of 1939. By the time he added two movements and proclaimed his Symphony No. 1, Jeremiah, in 1942, the extended work had become even more of an apposite reflection of its time as well as the earliest major document of the young composer’s boisterous enthusiasms and angst. A full 15 minutes after the scheduled downbeat, the players were still prepping their collective chops; the piccolo’s over-the-top contribution to the pre-concert cacophony was relentlessly earsplitting. Finally under way,Movement 1, Prophecy, showed not a whiff of Broadway, indeed reaching Brucknerian weight before its turbulent kvetching fades out. The second movement, disclosing more of Bernstein’s theatrical bent, constitutes an almost perfect case study for the tendency of Jerusalemites (or any population God needs to humble) to engage in extremes of idolatry and lasciviousness. Hearing Bernstein’s freneticism in Profanation, one could hardly blame the deity for smashing the city of gold. This movement gave the band the opportunity to show off strengths in every section. Channing embodied and directed the complexity with quiet fortitude, though he didn’t always keep the sound pressure below the level of pain, especially, again, from the piccolo. Not until the mezzo began to intone the Lamentations movement did Bernstein’s work seem to transcend period-specific underpinnings. Permit a mix of metaphors. Vera Savage sent shafts of gleaming vocal gold over the rising orchestral wave with a dramatic commitment that left the first two movements feeling like musical potluck. Afterwards on a Cambridge sidewalk, still in gown of red, the powerful dramatic singer, who also characterizes herself as an exponent of bel canto, admitted that she wouldn’t like to ride a big orchestra night after night. But, she explained, Bernstein thoughtfully places most of the tessitura in a range where a mezzo can be loud. Maybe some Rossini on alternate nights, she averred, or a Carmen if she can find a Don Jose of 6’4” or over. Hindemith is one of those composers who frightens away certain audiences. We too avoid his lawyerly organ works and logistical piano studies. But readers should remember that he played in dance bands and had a comic flair; he could easily bring smiles to listeners, as in the galumphing Symphonic Metamorphosis on Themes of Weber. Hindemith also possessed the marketing advantage of surviving his designation as degenerate. Saturday night, alas for them, the very noticeable numbers who failed to return after intermission for the highly engaging Oper ohne Worte-esque, Symphony: Mathis der Maler, suffered a tremendous loss. Hindemith’s painterly three movements evoked the triptych from Mathias Grünewald 16th-century Isenheim Alterpiece as well as any sound can imitate pigment. The Angelic Concert first movement shone stained-glass light on stone through the composer’s melodic mixed tonalities and learned (and in this case theatrical) contrapuntalistry. With fine sectional and individual solos all around, it was only in high divisi string slitherings that any polish went missing. Yu set the heavenly tones amongst the Dies irae undercurrents like a skilled mason. In the second movement, Entombment, solos from flutist Ellen Rakatansky and the oboe of Mary Tripsas floated into the hall with serene pleading. 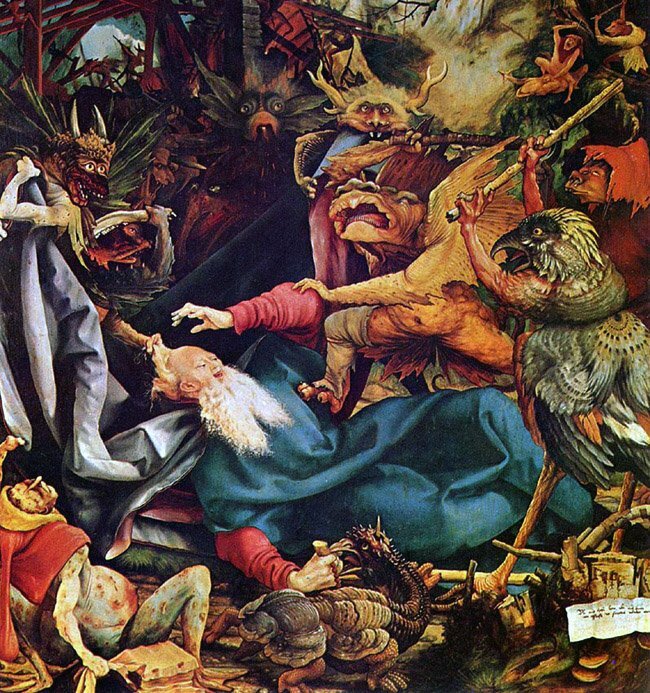 Diabolic instrumental screams and striking contrasts characterize the terrifying finale, the Temptation of St. Anthony. We could feel the saint’s torment and (this having been written in Germany in 1934) could imagine stormtroopers bringing him down, yet the massive closing chorale held out hope. Yu and the band took obvious and deserved pleasure from their accomplishment. Mercury Orchestra will return to Sanders on August 11th with Schumann’s Overture to Genoveva, the Piano Concerto (soloist to be Foundation for Chinese Performing Arts winner), and the Symphony No. 2. At the Hatch Shell on August 29th they will play works by Shostakovitch, Borodin, and Tchaikovsky in a Landmarks-branded free concert.